Since it’s Monday, I think we’re all deserving of a bit of a treat, and there is nothing which feels more indulgent than a good whisky. 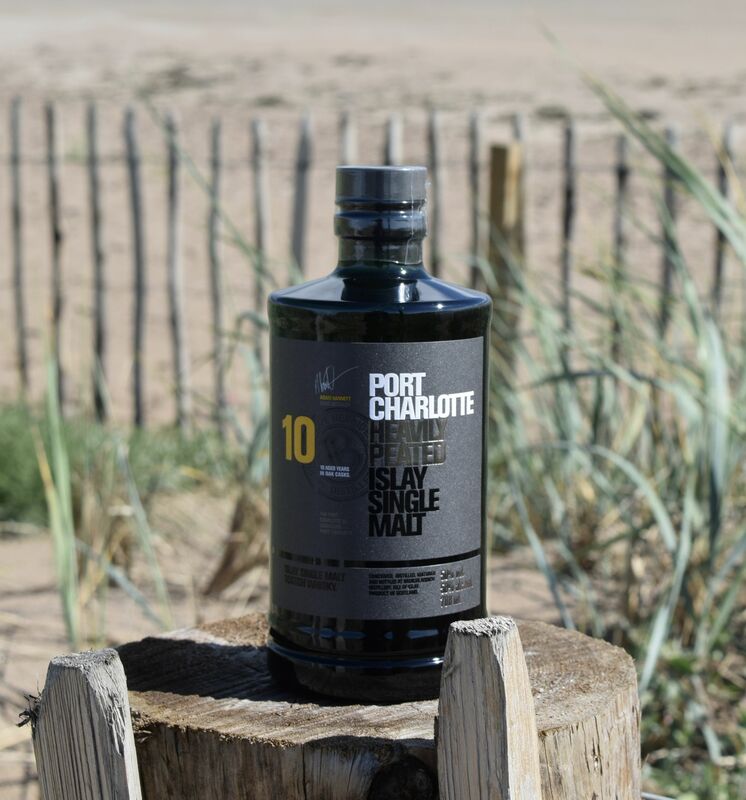 Last week I was very kindly sent a bottle of Bruichladdich Port Charlotte Heavily Peated Islay Single Malt (try saying that one three times fast) and it’s the perfect tipple if you’re looking for something to savour during the long warm evenings. 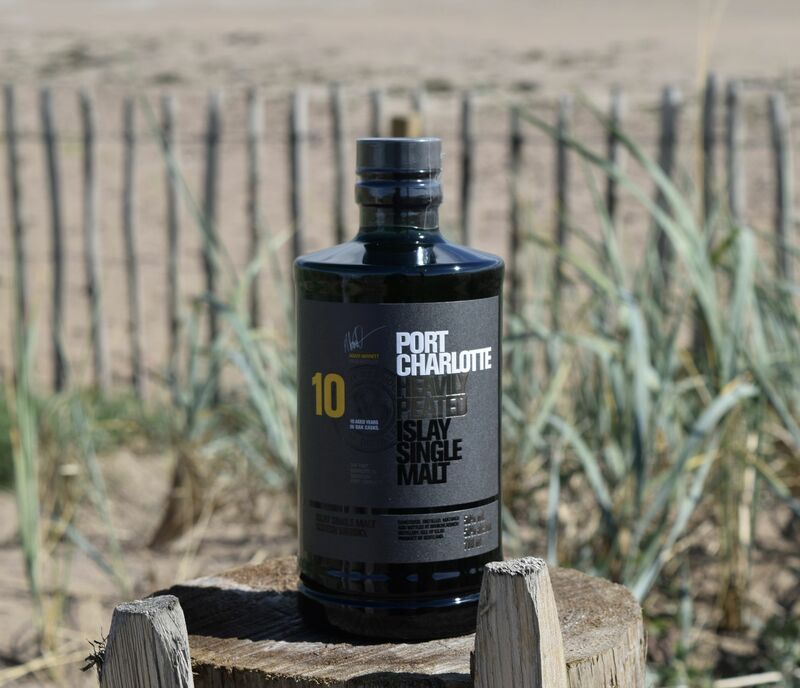 Relaunched in May of this year, the Port Charlotte 10-year-old is the first permanent introduction of an aged-stated bottling in the brand’s history, and replaces the current multi-vintage Port Charlotte Scottish Barley. Coming packaged in a sturdy green glass bottle, this looks suitably chic on the bar, as well as being a complete dream to drink. The whisky is made using only Scottish barley, has been matured in first-fill American oak, refill American oak and refill French wine casks. The result is a drink to be savoured. On first trying it, I was surprised at how wonderfully balanced it is to drink – it has a noticeable delicacy and softness in texture and style. This is not a drink to be knocked back! Instead, a subtle smokiness works with sweeter notes which come courtesy of the oak barrels the whisky has been aged in. Coconut, vanilla custard, and lemon honey combines with smoked oysters and sun baked salty sand in a drink which is gloriously complex, reflecting the town of Port Charlotte, where it has been matured. It’s a wonderfully grown-up feeling drink, and it’s been very much enjoyed over the last few evenings! 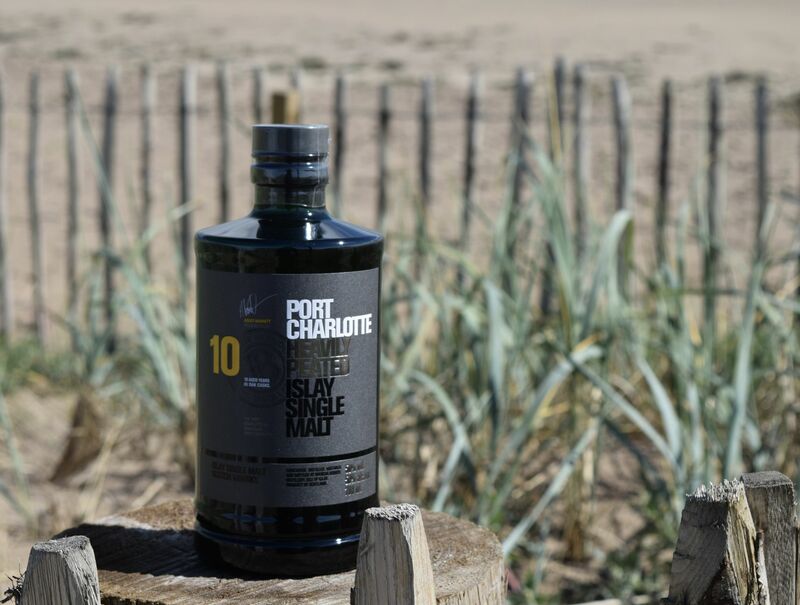 Bruichladdich Port Charlotte Heavily Peated Islay Single Malt is priced at £50 per bottle and is available here.